Bluetooth is supported on PCs, tablets, laptops, and Samsung Gear VR. See Use your Xbox Wireless Controller on Samsung Gear VR to learn more. Connecting more than 1 controller to your device with Bluetooth may be possible, but performance can vary depending on your PC. Requires Windows 10 Anniversary Edition and Xbox Wireless Controller with Bluetooth. See Windows Update: FAQ to learn how to get the latest Windows update. On your PC, select the Start button, and then select Settings > Devices > Bluetooth. Turn on Bluetooth so it can discover Bluetooth devices. 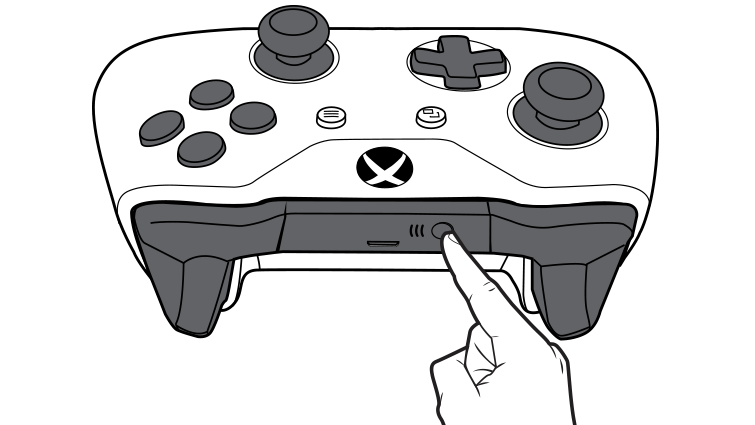 Power off the controller by pressing and holding the Xbox button on the controller for 6 seconds. Press the Xbox button again to power it back on. Go to Settings > Devices > Bluetooth. Select the controller and then select Remove device. Press the Connect button on your controller. 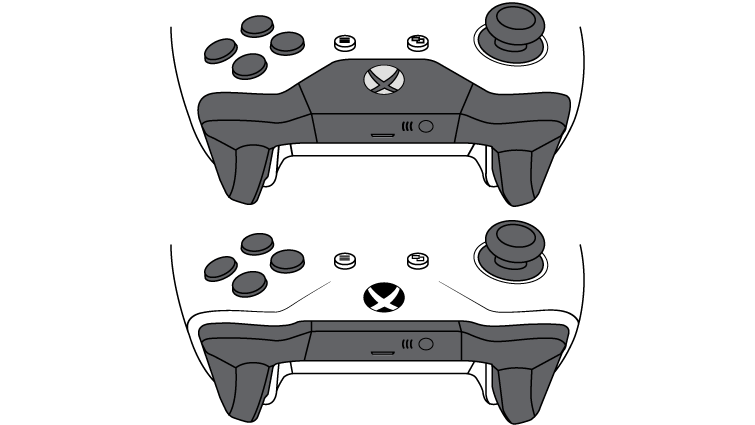 Select the controller and then select Pair. Note If your PC resources are being used for other activities, it may take up to 2 minutes for your PC to recognize and/or bind your controller via Bluetooth. If you experience a delay with your PC recognizing and/or binding your controller via Bluetooth, wait up to 2 minutes to see if this resolves the issue. When your controller is connected via Bluetooth, audio devices are not supported. To use a headset, connect your controller directly to your PC by using a USB cable or the Xbox Wireless Adapter for Windows or connect your audio device directly to your PC. If Bluetooth is not enabled, turn it on so your PC can discover Bluetooth devices. Move closer to your PC and eliminate potential interference (such as from mobile phones or other Bluetooth devices). Select the Xbox Wireless controller, and then select Remove device. Try connecting your Xbox Wireless Controller again and be sure to press and release the Connect button. Move closer to your PC and eliminate potential interference (e.g., mobile phones or other Bluetooth devices). To allow your PC resources to free up, wait 2 minutes and then try connecting your controller to your PC again. Connect your Xbox Wireless Controller to your PC using a USB cable or the Xbox Wireless Adapter for Windows. See if the controller works properly with a different app. If your controller works properly, it's likely the app you're trying to use doesn't support Bluetooth. Check with the developer of the app to determine Bluetooth compatibility. Try using the controller with a USB cable. If the controller works, the issue is with your Bluetooth connection. Would you like to contact Support regarding the "Connect and troubleshoot Bluetooth on your Xbox One Wireless Controller " issue you were reading about or a different issue?